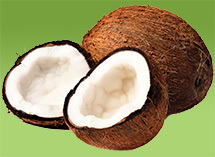 Our extra virgin organic coconut oil delivers the rich, yummy fragrance of pure coconut. It is good enough to eat but we recommend it as a superior skin moisturizer. Coconut oil is packed with nutrients that strengthen and protect your skin. It also promotes healing, penetrating deeply to nurture underlying tissues. 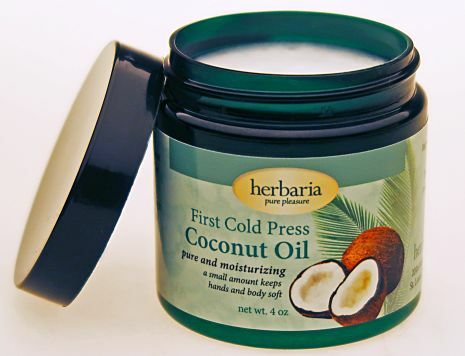 Apply coconut oil liberally on your hands and feet at night. It is slow to absorb so we suggest wearing gloves and socks over the oil. You’ll find your skin is velvety soft in the morning. Many people also enjoy coconut oil for healthy hair and scalp. They rub it in their hair and leave it for about an hour before washing it out. One caveat: we don’t recommend coconut oil on your face because it may clog pores. Coconut oil is a natural butter that melts at 76°F. At room temperature it can sometimes be solid, sometimes liquid. Even if it’s solid, it’s creamy enough to scoop out a bit to melt it in your hands. If it’s liquid, be careful not to spill while removing the jar lid. Our coconut oil has no preservatives. If you don’t use it regularly, keep it refrigerated to extend its freshness. One final word about our coconut oil: our facilities are not certified organic so we cannot use the title “Organic Coconut Oil.” However, in our list of ingredients, we can employ the term organic because that’s what this is. We make several products with this remarkable emollient. Each jar of Coconut Oil counts as 1 bar toward our free bar offer.